A group of Norwegian investors plan to build the world’s largest Viking theme park in a village in western Norway, luring tourists with roller coasters, staged Viking battles, and Viking-style feasts. 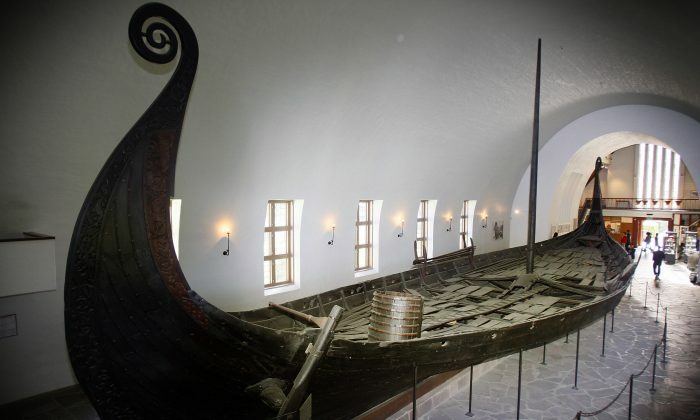 The Viking Land project, which will cost some 350m kroner ($60m), is expected to draw in up to 300,000 visitors a year once it opens in 2014. “Nothing like this exists anywhere in the world. The project is unique” Odd Erik Salvesen, who is coordinating the project, told Norway’s VG newspaper. Australian students report high levels of noise and disruption in their classroom and at rates worse than the US or Britain, a factor which education experts say is linked to low levels of literacy and numeracy and is contributing to the country’s worsening performance. Almost the entire output of three world famous Polish composers, Witold Lutosławski, Henryk Mikołaj Górecki and Krzysztof Penderecki, has been made available on a new website of the National Audiovisual Institute. The idea that young people nowadays are more conservative than previous generations is a common cliché. Girls are said to be dreaming of becoming housewives while boys supposedly behave like old-style alpha-males, reproductive and career-obsessed. It has been one of the most recognisable symbols on the Scottish landscape for almost half a century. People visiting sites in Kobe’s Nagata Ward that were rebuilt after the Great Hanshin Earthquake can now use a smartphone app to virtually go back in time and see the extent of the damage. The city government developed the location-based app to keep the memory of the Jan. 17, 1995, disaster alive for future generations. Brown, Inuit Family Literacy Coordinator with the Ottawa Inuit Children’s Centre and Langille … have volunteered to do something unusual: throat sing with an imaginary partner. That partner will become thousands of people from across North America who step into a special booth designed to educate people about throat singing and then teach them how to do it themselves.